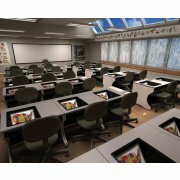 With the long rows of computer desks that fill your computer lab and training room, keeping cables out of the way can be quite a challenge. 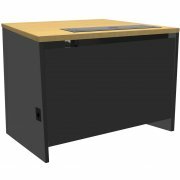 Sleek, modern computer tables from NOVA feature user-friendly wire-management solutions that minimize clutter and tripping hazards. Innovative iMod modesty panels can be easily removed, providing full access to the back of the computer and any additional hardware. 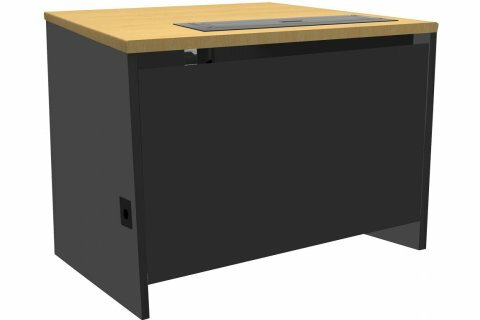 These computer desks have a built-in channel to keep cords organized and out of the way. With the added advantage of CPU holders and six outlet powerstrips, you get absolutely everything you need to keep your space organized and attractive.